“Surprising discovery: dung-dwelling frogs,” by Kerensa McElroy. Cosmos Online, 26 June 2009. Some frogs take refuge from the heat by living in the moist droppings of the Asian elephant during the dry season in Sri Lanka. The frogs may be seeking out the piles of droppings because it provides a moist environment in otherwise dry environment, scientists suggest, since their typical leaf-litter habitat is scarce in such an environment. “Asian elephants are currently endangered and rapidly declining. When we lose them, we lose not only these majestic animals, but also many other organisms” says Ahisma Campos-Arceiz from the National University of Singapore, who discovered the frogs in their bizarre habitat. More at Cosmos Magazine online. See Ahimsa’s abstract at Biotropica [NUS Digital Library pdf]. Thanks to Ria Tan for the alert. Arizona State University’s International Institute for Species Exploration included Opisthostoma vermiculumin its top 10 species for 2008 – see “A Snail that’s Whorls Apart.” Links to media highlights include CNN and Mongabay. Now Tan Cheng Li takes a closer look at the significance and the discussion that ensued highlights Reuben’s motivation and the promise and race that awaits malacologists amidst Malaysia’s disappearing limestone karsts. Hop over for an interesting read – link. Thanks to Reuben and Ria (WildSingapore) for the alerts. Thank you all for your wonderful show of enthusiasm and support for the event! We are amazed and pleased by the high level of interest that so many of you are showing by signing up. Sadly, registration is now closed. For the lucky 400 who managed to sign up in time, please remember that it’s today: Monday, the 22nd of June. 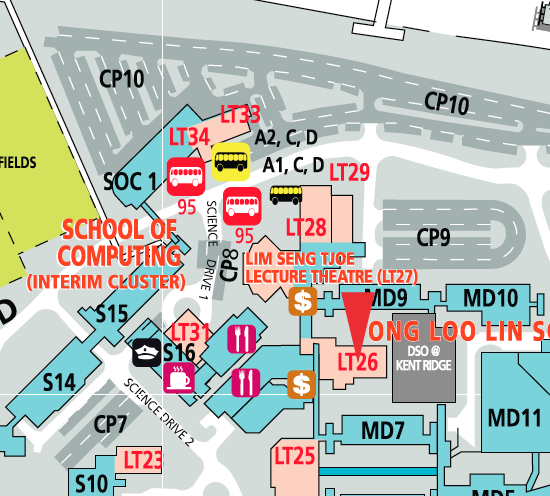 The venue for the event is LT26 (not LT31), and it begins at 6.30pm sharp. Although we are no longer registering new participants, you are perfectly welcome to try your luck (as there might be a free seat or two!). Due to the overwhelming response, we have moved the mini-symposium from LT 31 to LT26 in order to accommodate everyone. Please note the change in venue. If you are driving, park at carpark 10 (CP10), as car park 9 is closed for construction. Please enter along Science Drive 1, and cut across the canteen. Hope to see you all there (LT 26, not LT 31) next Monday! Edit 170609: One more thing: For those of us with dietary restrictions, the buffet dinner provided after the talk is prepared by a halal certified caterer. There will also be vegetarian options. A buffet dinner will be served at 8.30pm. The year 2009 is the bicentennial of Darwin’s birthday, and 150th anniversary of the publication of his book “The Origin of Species”. Darwin’s theory of evolution is one of the major breakthroughs in the history of science and it is now generally accepted that “nothing in biology makes sense except in the light of evolution” (Dobzhansky). Unfortunately, the contributions of another important British scientist, Alfred Russel Wallace, are less appreciated. Wallace had independently of Darwin developed a theory of natural selection and described his findings in a letter to Darwin in 1858. It was this letter that initiated the publication of “The Origin of Species” in 1859. Wallace conducted much of his research in Southeast Asia and collected biodiversity specimens throughout the region (including Bukit Timah Hill). In celebration of these contributions, the Department of Biological Sciences will host this “Darwin, Wallace, and Evolution” public event and invite two prominent speakers – Dr. John van Wyhe from Cambridge University and Prof. Naomi Pierce from Harvard University will cover the historical aspects and illustrate how evolutionary theory is used in modern research. About the talk – The theories of Charles Darwin and Alfred Russell Wallace have changed science, and the world, forever. Yet much of what is often written about these two men, their similarities and differences, and their debts to one another, is wrong. It has recently been claimed, for example, that Darwin stole many of his ideas from Wallace. For many years it has also been claimed that if Wallace had not sent his essay on evolution to Darwin in 1858 that Darwin never would have published his theory. This presentation will revisit the true story of Darwin and Wallace and rebut several common myths. 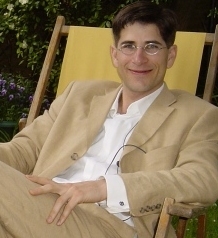 About the speaker – John van Wyhe is a historian of science, currently based at the University of Cambridge. He is the founder and Director of Darwin Online, a website that presents the complete works of Charles Darwin with more than 90 million views since 2006. A Bye-Fellow of Christ’s College (Darwin’s own college), he is also a member of the British Society for the History of Science and author of “Charles Darwin: The Story of the Man and His Theories of Evolution” (2008). Van Wyhe led the restoration of Darwin’s Christ’s College rooms and contributing to a proposed iconography of Darwin. His recent research has challenged “Darwin’s delay” – the long-held view that Darwin held back or kept his theory secret for 20 years. In 2009, he publishes three books and numerous shorter items on Darwin. Committed to sharing Darwin’s work, scholarship and the history of science with the wider public, Van Whye lectures and broadcasts on Darwin, evolution and the history of science around the world and has written for The Guardian, New Scientist, USA Today and The Independent. About the talk – Modern evolutionary research is still thriving on Darwin’s seminal ideas about adaptation, natural selection, and the Tree of Life. Blue butterflies in the family Lycaenidae provide a model system for understanding how adaptation and natural selection have shaped organisms and generated the biodiversity we see today. This talk will focus on the complex life histories of Lycaenidae, a group whose caterpillars associate symbiotically with ants, and whose feeding preferences range from herbivory to highly specialized forms of carnivory. Reconstruction of the evolutionary history of the family using characters from both morphology and DNA reveals how interactions with ants have shaped the diversification of this group. About the speaker – Naomi Pierce is one of the most prominent living evolutionary biologists and is an expert in the ecology and evolution of species interactions. Her research has ranged from field studies measuring the costs and benefits of symbioses between ants and other organisms, to genetic analyses of biochemical signaling pathways underlying interactions between plants, pathogens and insects. She has also been involved in reconstructing the evolutionary “Tree of life” of insects such as ants, bees, and butterflies, and in using molecular phylogenies to make comparative studies of life history evolution and biogeographical distributions. Pierce was awarded a Macarthur Fellowship for her research on insect/ plant interactions, and has held positions at Griffith University in Australia, Oxford University in the UK, and Princeton University in the US. She is currently the Hessel Professor of Biology in the Department of Organismic and Evolutionary Biology at Harvard University, and Curator of Lepidoptera in the Museum of Comparative Zoology. She lives in Cambridge with her husband and their two daughters. Structures have appeared mysteriously around Block S1 and the roof of the adjacent building last week. According to corridor sources, it is for an experimental roof top garden. So we can expect more greenery, it seems, which will be nice.